I recently attended the annual conference of the Energy Council, which took place September 17-20, 2015 in San Antonio, Texas. Governor Greg Abbott gave welcoming remarks to the group. Other speakers during the conference included Mr. Todd Staples, from the Texas Oil and Gas Association. His message was how important it is to communicate the value in terms of jobs and economic development that oil and gas brings to communities, as well as working under the toughest environmental requirements in the nation. Mr. Haley Curry, Vice President External Affairs for the South Texas Energy and Economic Roundtable reviewed the importance and strategies for engaging stakeholders in the process of developing energy infrastructure. Mr. Don Armijo of the Marine Well Containment Company discussed well containment for deepwater drilling and the latest improvements. Efforts are underway to improve current capabilities and training efforts. Dr. James Griffin, Professor of Economic and Public Policy talked about the world oil market and the effects of supply disruptions anywhere in the world on oil prices, and the impacts of high oil prices on inflation and employment. Professor Griffin supported relaxing the ban on exports of crude oil from the United States and easing restrictions or limits on exporting natural gas as a vital step for achieving energy security. Dr. Griffin’s presentation was particularly interesting to me since one takeaway was that the world oil market is one large “bathtub” of supply from which the world buys oil and a supply disruption anywhere in the world will send prices shock waves world-wide. While currently experiencing a shale oil boom, that trend is expected to only last about a decade. Alaska’s Arctic offshore area is estimated to hold as much as 25 billion barrels of oil and 120 trillion cubic feet of natural gas. It takes about a decade to develop offshore fields. Taking a long term view and planning for the future, it is in our national interest to start exploring and getting our Arctic oil into production. The University of Alaska Board of Regents approved accepting $6.6 million of Title III federal grant funding. 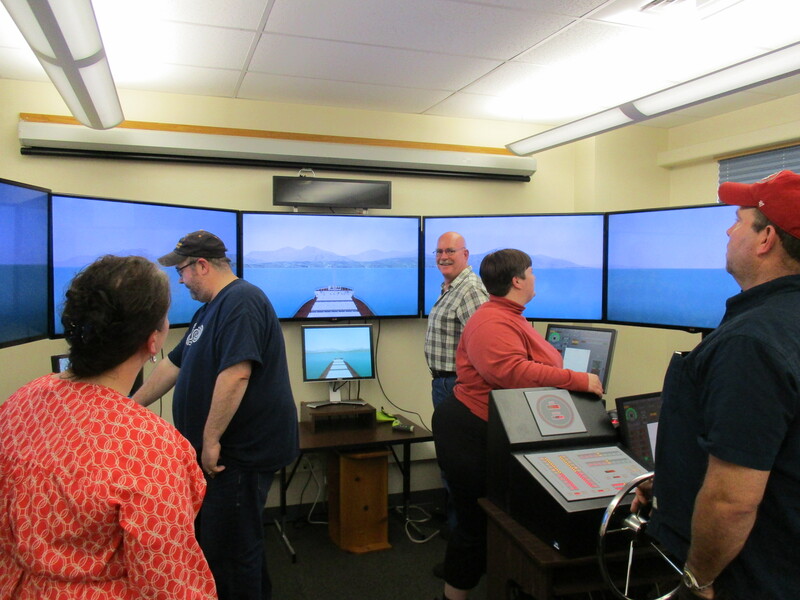 Funds will be used to renovate, improve, and expand maritime training facilities and programs at the University of Alaska Southeast Ketchikan Campus (UAS Ketchikan Campus). I support growing our maritime training programs and my staff and I followed and provided assistance throughout the approval process. The economy in Southeast Alaska is closely tied to the maritime industry. We have to be ready and able to train Alaskans for existing maritime careers and the jobs of the future. When offshore oil and gas is developed by Shell, many more jobs will be brought to Alaska and the need for training and education will increase quickly. This grant helps put us in a good position to meet some of those training needs. I also want to thank the leadership of UAS Ketchikan Campus, particularly Priscilla Schulte, and the grant writer, Wendy Miles, who recognized this opportunity and worked hard to secure the funds. The entire community provided support from the Ketchikan Gateway Borough to Vigor Shipyard, Amak Towing, Southeast Alaska Pilots, as well as the United States Coast Guard. In very difficult budget times, my staff and I were able to bring two communities in my district together, the City of Ketchikan and the City of Angoon. My office found a way for the two cities to work together and improve the public safety in Angoon. In 2010 the City of Angoon received an appropriation for a new fire truck, but the company supplying the fire truck went bankrupt and was unable to deliver their end of the deal. 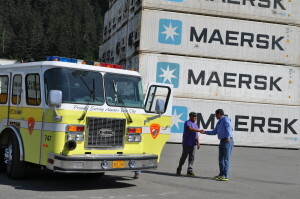 The residents of Angoon went without the protection of a fire truck for several years. My staff and I learned the City of Ketchikan had a surplus vehicle they were in the process of replacing, a fire truck, and my office brought officials from both communities together to see if the fire truck could be sent to the City of Angoon. It turned out the City of Angoon had just enough funds left in the 2010 appropriation to pay the City of Ketchikan the surplus price for the fire truck and the shipping costs to get it to Angoon. 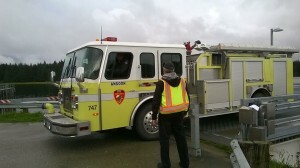 I am happy to report the fire truck arrived in Angoon last week. The community of Angoon and the Mayor are very pleased and relieved as they are no longer without an operating fire truck. I applaud the communities for their willingness and for making something very positive happen without a lot of resources. My office will keep working with our communities and grantees to find every opportunity to improve public safety throughout the district and state.